After a few days getting my bearings in the city, it’s time for a change. 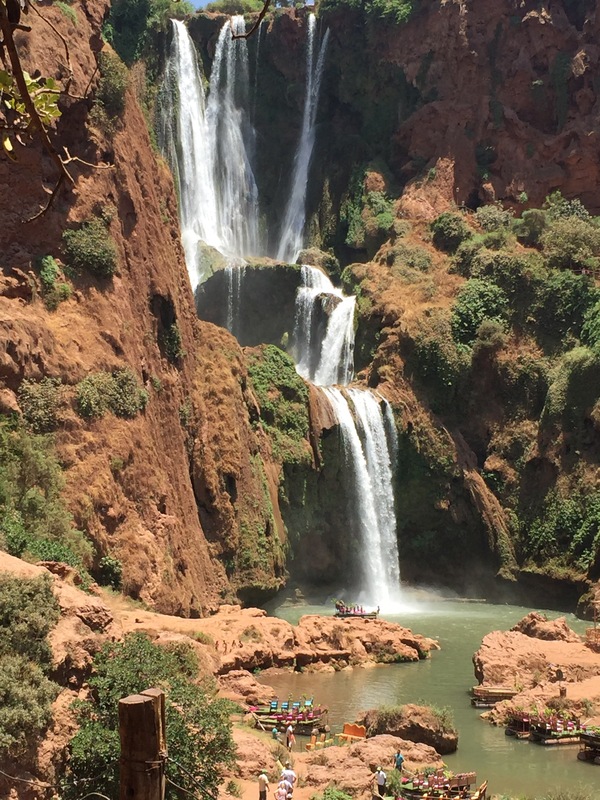 I booked a day trip to hike Cascade Ouzoud. Still in one piece, my little group of 8 other travellers and I began the hike to the waterfalls. We met a local guide, a leathery man named Rashid that could scamper up and down the mountain in circles around the best of us. Along the way he would stop at a tree here and there to tell us in French what it was and how old. I know it was just to give us a chance to catch up with him, but I did appreciate learning that there are 800 year old olive trees here. And then the falls came into view. Incredible. Our stunning oasis complete with little swimming hole was even better than promised, and I couldn’t wait to get into the water. The rest of the day was pleasantly uneventful, dodging macaque monkeys on the hike out and persistent vendors back in town.